René, Chris, and Mark like to ride fast! But ripping around the streets of North Bay in their wheelchairs is not enough. They want more! 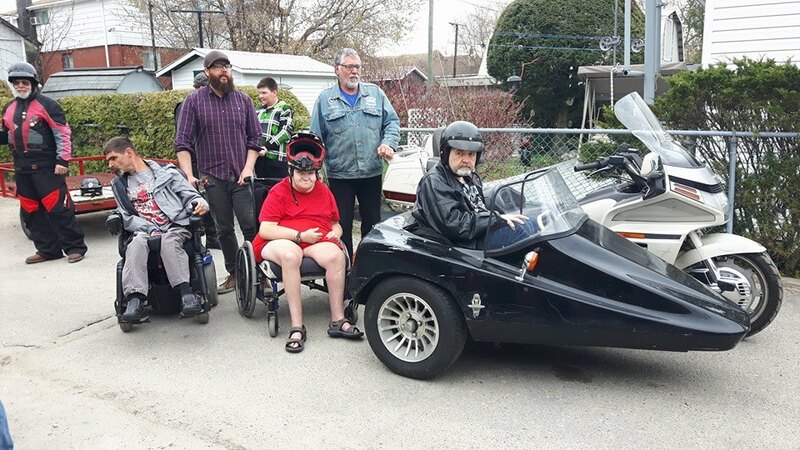 Please join the Kokemachine, of 4 eel fishing , in raising funds to support their dream of owning a motorcyle with a sidecar . 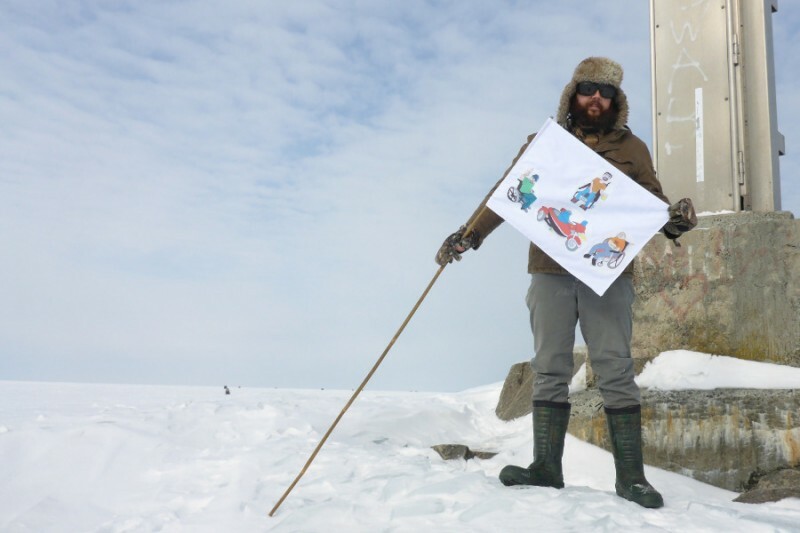 On March 1st the Kokemachine will walk across Lake Nipissing. 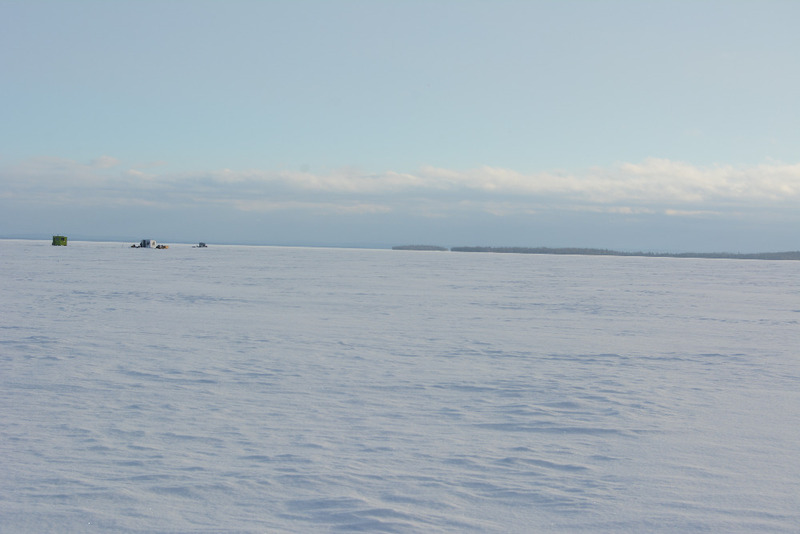 Departing from the north shore he will walk 18 km to the Waltonian Inn on the south shore, stopping briefly in the shelter of the Manitou islands for a power sandwich siesta. Today was the big day! 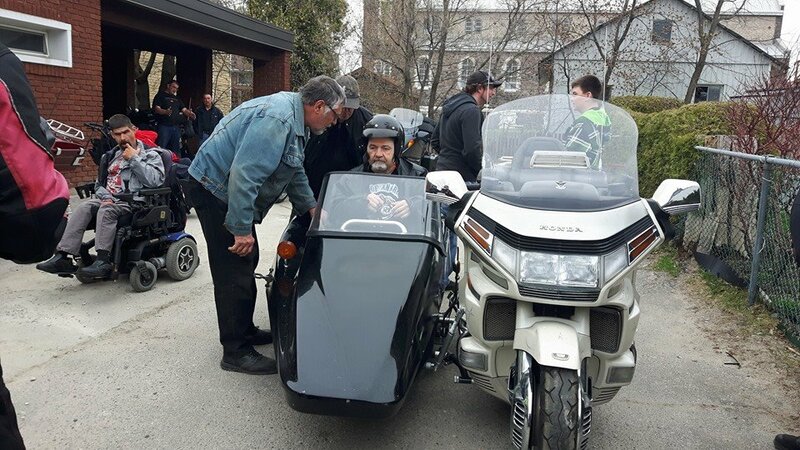 The bike was delivered by the Canadian Vintage Motorcycle Club from Sudbury. 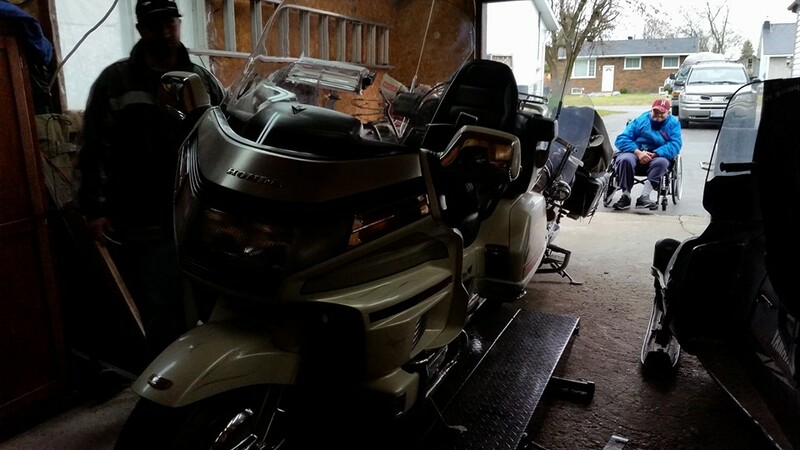 I was getting a little teary eyed when the truck pulled up the driveway with Rene, Chris and Marc's new Motorcycle with a Sidecar. I didn't think that would happen to me but I was overwhelmed thinking of all the people who helped bring this dream into reality! It was an overcast and rainy day but it was all sun where I was standing. Rene, Chris and Marc were screaming with joy! Thanks for all the support! It's hard to believe that it was a year ago yesterday that I made this trek! Here's a time lapse video of my journey. Thanks again for all the donations. Great News everyone! 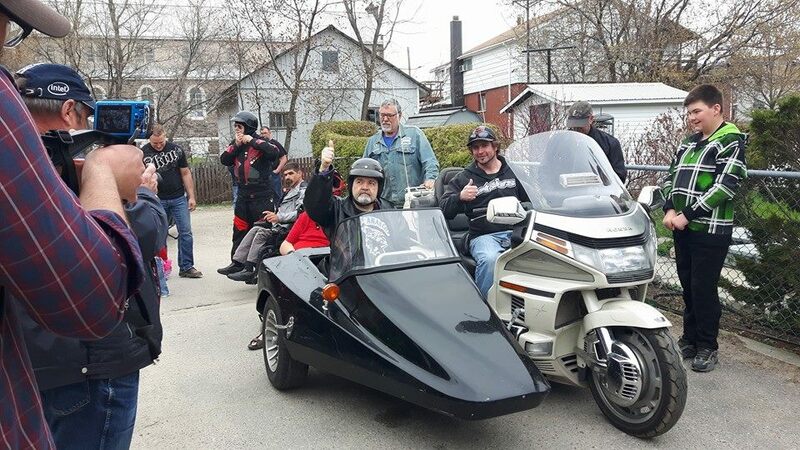 As of this past November Rene, Chris and Marc finally purchased a Motorcycle with the funds raised by the Lake Walk and the other associated fundraisers! (Which together raised over 6000$!!!!) 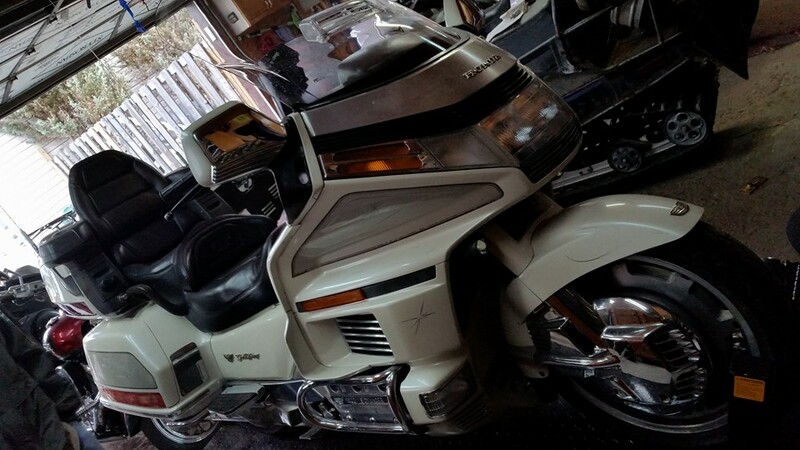 The Motorcycle is a 1990 Honda Goldwing Interstate, 1500 CC, fully loaded and hand picked by Jamie Turner! 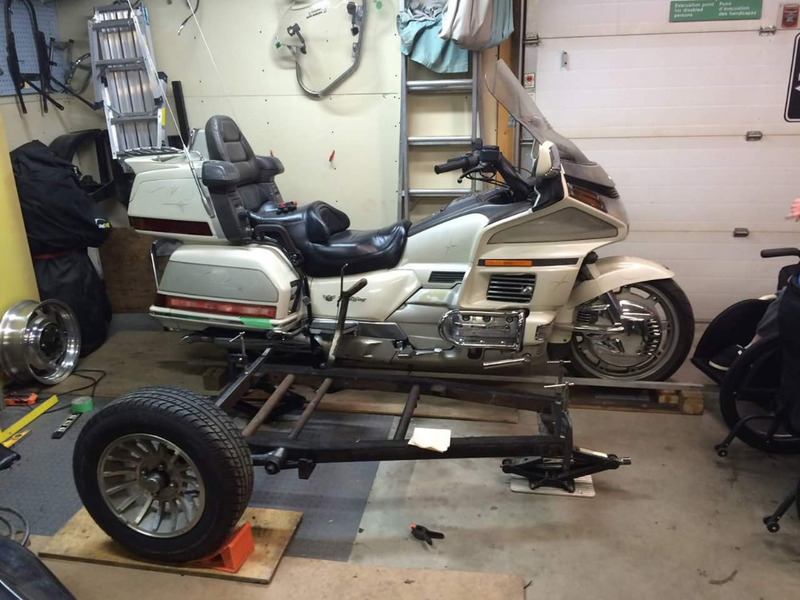 Our friend Tony Pagnutti from the Sudbury, Ontario, Sidecar Club has volunteered his time to mount the Sidecar over the course of the winter. We're hoping to be on the road by the Spring! Thanks again to everyone for their Support. Stay tuned for more pictures! 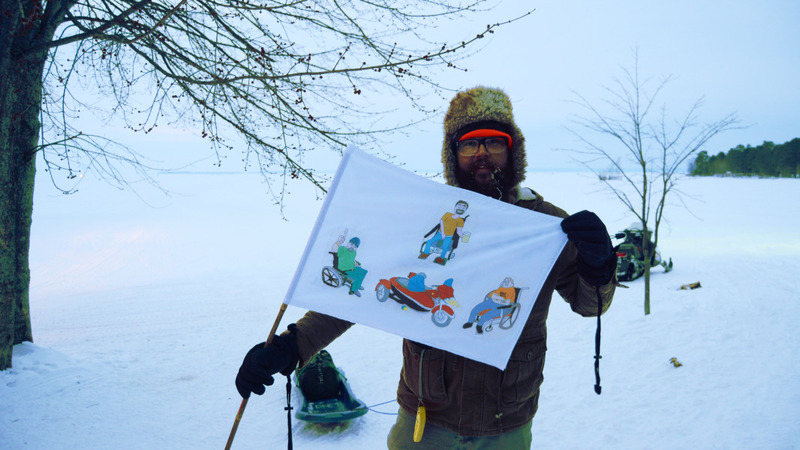 With a slightly frozen beard Kokemachine reaches the shore at 6:38 pm to a throng of crazed fans! Happy I was able to bump into you the night before your adventure, so inspiring!! Uncle Dave is proud of you. Eh to go Eric - you make a former North Bay girl proud!